RUSSELL T. JACOBSON SR., fan of the New York Yankees, University of Michigan football, and an extra-dry martini, passed away on June 30, 2017. 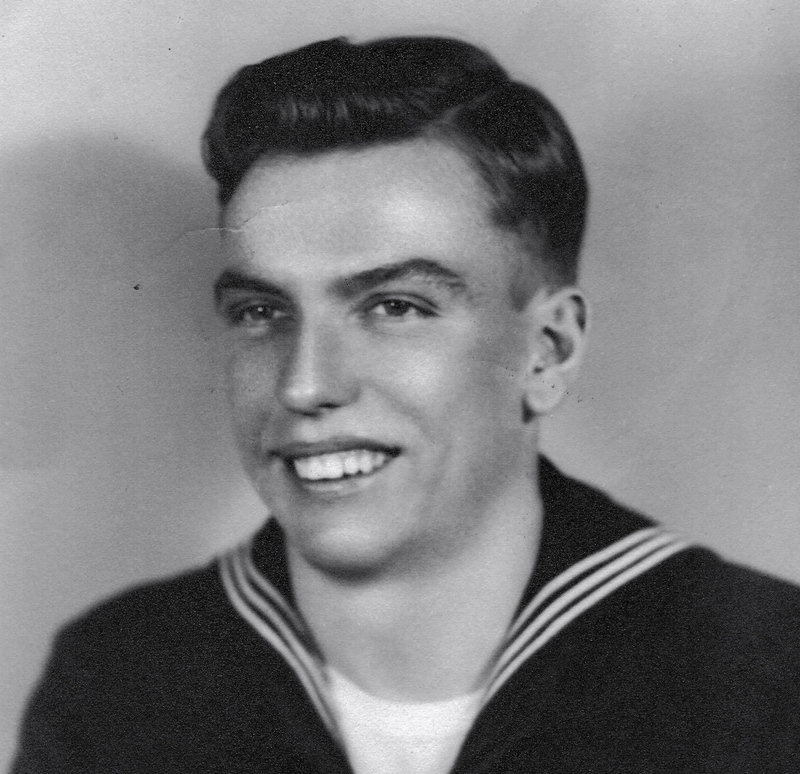 Born in Ludington, MI, he served in the U.S. Navy during WWII on the USS Renville. After the war, he obtained his CPA license at Northwestern University and then met his first wife Juliana (Anthony) and had 2 sons. After her death, he remarried and with Joan (deceased) (Andrews) had 4 daughters and 1 more son. He lived his 90+ years to the fullest, marked by his commitment to his community, career, and family: City of Charlevoix (MI) Shuffleboard Champion, St. Louis Parish Golf League Champion and 50/50 Raffle Winner, 40+ years as St. Louis church usher, 40+ years with Legion of Mary, 40+ years at TRW, 10+ years at H&R Block, 58+ years as a father, 28+ years as a grandfather. Dearest father of Russell Jr. (Theresa), Christopher (deceased), Mary Joan Bostelman (Mark), Laura Reckamp (Mike), Susan Agresta (A.J. ), Karen Laurienzo (Tom), and Michael (Emelyn); devoted grandfather of Marina, Melanie, and Maxwell Bostelman; Luke, Kevin, Ella, and Callum Reckamp; Jaime Neufer; Anthony, Dominic, and Matthew Laurienzo; and Henry and Eleanor Jacobson; Proud son of Theodore and Blanche Jacobson, dear brother of Eunice Tiedeman and Eleanore Jacobson (both deceased); uncle, great-uncle and friend to many. In lieu of flowers, family suggests donations in Russell’s name to Catholic Charities, 7911 Detroit Ave., Cleveland, Ohio 44102. Mass of Christian Burial at 11am at Communion of Saints Parish at St. Ann Church, 2175 Coventry Rd., Cleveland Hts, OH 44118, on Wednesday July 5, 2017. The family will receive friends at church Wednesday from 9am until time of service.